Is there an acne bomb sitting on your plate? For clear and radiant skin avoid these 5 acne causing foods. First I want to point out there are no foods that directly cause acne. Anyone telling you that don't know what they are talking about. Acne is caused by blood sugar problems (insulin resistance), chronic inflammation and oxidative stress. Many foods aggravate these conditions and can thus aggravate or even trigger acne. 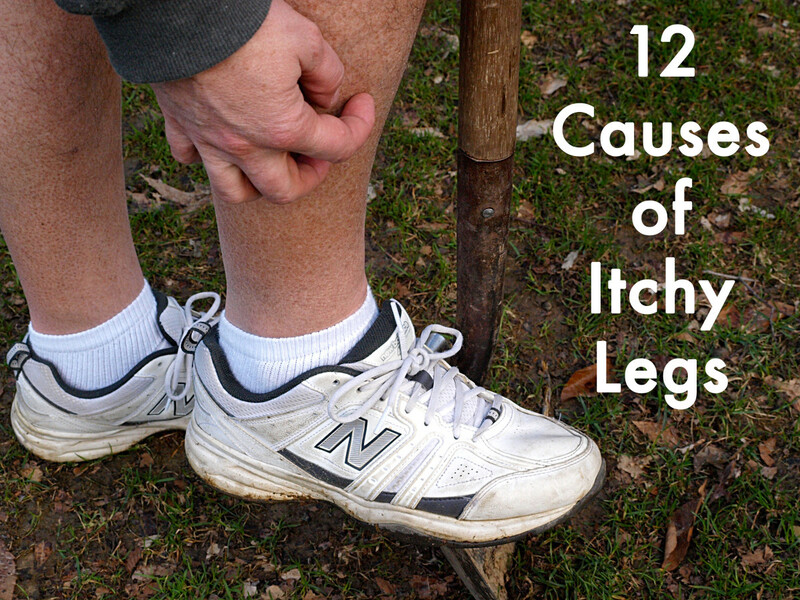 But what you eat is not the only thing that affects these conditions. For example, lack of sleep, breathing polluted air and stress can do the same. Also please don't think you can cure acne simply by cutting these 'foods that cause acne' from your diet. You just set yourself up to fail. There are many reasons for blood sugar problems, chronic inflammation and oxidative stress. Diet is one and removing these foods from your diet is a big step towards clear skin. Eating too much fat is perhaps the biggest reason behind blood sugar problems. With blood sugar problems I mean your blood sugar levels 'swing' too much. They rise too high and drop too low. This 'swinging' causes a cascading hormonal reaction that leads to: increased sebum production and blocked pores. Click here for more detailed explanation of how blood sugar problems cause acne. Fat has another nasty effect. Too much of it in the bloodstream slows down nutrient and oxygen transport to cells. In effect your cells won't get the nutrients and oxygen they need when you eat too much fat. This can also aggravate acne. Dairy products are probably the worst foods you can eat if you have acne. First, dairy products are often high-fat; think cheese and ice-cream. As you learned too much fat can cause acne. Second, the milk almost always comes from pregnant cows. The milk from pregnant cows contains hormones. Unfortunately your skin glands contain enzymes that convert these hormones into DHT (dihydrotestosterone) hormone. DHT boosts sebum production at skin gland. So the hormones in milk indirectly increase sebum production, which of course leads to acne. Finally everybody is allergic to milk - whether we develop visible symptoms or not. The human digestive systems lacks the enzymes to properly digest milk from other animals. Digestion simply means food is 'broken down' into individual nutrients. If digestion is not complete it means the body absorbs larger molecules (instead of single nutrients). The problem with this is that the body does not recognize these. Instead the immune system treats them as 'invaders' and attacks them. The medical definition for is 'digestive leukocytosis'. And immune system (white blood cells) reaction means more inflammation and oxidative stress. Both of which can lead to acne. For more information about acne and dairy connection please see this report by Dr. William Danby. This is mainly about grains and refined sugars. Fruits, when eaten whole, are not a problem because the fiber in them slows down digestion of sugars. 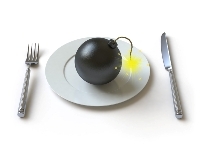 First problems with refined carbohydrates and sugars is they cause blood sugar problems. Refined sugars enter the bloodstream quickly and spike up the blood sugar levels. Eating too much fat further aggravates the problem. Second, there foods are refined to the point where they contain almost no nutrients. To digest these sugars and grains the body needs vitamins, enzymes and minerals and it has to take them from its reserves. Over time this can lead to deficiencies that may lead to acne and other problems. Whole grains are better in this sense. Third, like milk, humans cannot digest grains. We don't have the enzymes to completely digest grains. It means that eating grains always causes allergic reaction (whether we notice the symptoms or not). Allergies always mean more inflammation and oxidative stress --> more acne. Whole grains or refined, doesn't matter. Humans cannot digest either. Why are grains and legumes so unhealthy? Though that article has good information about the dangers of grains the low-carbohydrate diet it recommends is a recipe for heart attack, cardiovascular problems and cancer (just as Dr. Atkins proved by dying of heart attack). Caffeine causes two big problems. First it increases triggers the adrenalin glands to release stress hormones, which increases your stress levels. Too much stress is bad for your health and skin. There are studies linking stress to acne and almost every health condition. Second, caffeine disturbs your sleep. Even if you can fall asleep after taking in caffeine it prevents the body to enter the deepest phase of sleep. This deepest sleep is especially important because during this phase the body does physical repair and detoxing. If the body cannot recover from the stresses of the day you can expect your health to decline and acne get worse. Rule of thumb; any food that comes from factory is bad for your skin. Humans evolved eating whole, unrefined foods in their natural state. You should do the same. Processed foods are often highly refined, which makes them impossible to digest properly. As you know this leads to allergic reaction, inflammation and eventually acne. Because processed foods are highly refined they have little taste left. To make them palatable food manufacturers add flavors, additives and other chemicals to 'trick' your taste buds. These chemicals always lead to allergic reaction. Processed foods often contain lots of fat and refined sugars. Say hello to blood sugar and related (such as Candida) problems. This also makes them highly fattening. Excess belly fat directly leads to insulin resistance (blood sugar problems) and inflammation (fat cells produce inflammatory hormones). For clear skin I recommend cutting out or significantly reducing these 5 acne causing foods from your diet. This may not be enough to cure severe and persistent acne, but it's a big step to the right direction. 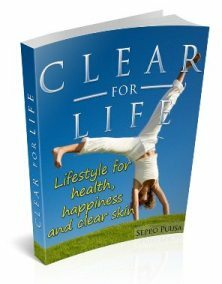 Seppo Puusa is the author of the best selling acne book Clear for Life: Lifestyle for health, happiness and clear skin. what can I eat to avoid aggravation of acne and still gain more weight?? As far as I know there's no difference. I also don't buy into the Chinese face map that claims that acne at different parts of the face would correspond to problems in different organs. what foods should eat to decrease acne? give some examples cause it's like all of the foods are prohibited!! arrgh!! Eating too many orange vegetables can make your skin turn orange. Sepsi, if you say we cannot eat all the foods you listed, what are we supposed to consume? Grass? Tree leaves? Only water? Thanks for knowing, nice job. im about to try this, hope ot works! You guys make it seem like you'd starve without burger buns and milkshakes! Hmmm, what would I do without "cereal bars, chips, fast food, cakes, pasta..." It's no wonder we are an obese society! Sure, I miss cheese, but it beats crying (literally) over acne. I heard somewhere that there was different kinds of acne, which had to be treated differently. For instance "clumps" of usually painful acne is a different type of acne than simple individual pimples. Can anyone either confirm or deny this? Hello, I have been doing this lately and is definitely working but I have one question, what can you eat and how do you cope with every day life? @Emil, if you think milk is the problem for your acne, and you absolutely NEED it for strength of your bones, and growth, I would recommend dietary supplements like multivitamins, or tablets that especially contain vitamin D and calcium as a replacement for those dairy products. And meats, especially seafood, is great for skin because they contain fatty acids, like omega-3. I live on a dairy farm, and the milk that we ship is not from pregnant cows. You have to impregnate a cow for them to give milk, then once they deliver, that is the milk that goes to the grocery store. When cows are pregnant, they "dry up" which means they do not give any milk. Acne is a combo of many factors. Genetics play a large role, hygiene is another. Food intake has a very small influence. Obviously, foods that have a high fat content will indeed produce more oil, but that does not mean that eating fried foods will make someone break out. It is science. There are people that live on fast food that never have an issue. For acne control, seek a good dermatologist, wash regularly (but not too much,) and do not be afraid to try a different product. Not all face washes are made for the same face. Okay, I have a question. If I drink raw milk, unprocessed, uncooked, just refridgerated, is it still indigestible? Or, another question... How can milk be indigestible at all? Or grains? Dairy and grains are a HUGE part of dieting. You cannot be a truly healthy person without them. CAN you be a healthy person at all if you follow this diet? You simply can't tell people that they can't drink milk or eat bread anymore. I'm on the Wai diet and it's cleared me up completely (8 days). Wai diet is pretty much the same thing as what this says, all I eat is a lot of fresh fruits, 3 raw egg yolks or some raw fish. No salt, no spices... just food in its raw form. Now I just have to add one new food at a time to test my sensitivities. Just know that food sensitivities/allergies vary among individuals, so some people can tolerate dairy products, while others can't. If you really want clear skin, follow a strict diet and it will work... for some of you it may take longer, but you will see improvements. Humans are not meant to digest legumes or grains, that's a fact. I eat bologna and GunPowder sandwiches and it cured my acne completely. I would suggest people take the article with a grain of salt and do your own research. I disagree about whole grains being bad and indigestible. It has many benefits for the body. I just turned 36 Ive been dealin with acne snce 13th...I tried evrything the only thing tht truly workd was ClARVIS. They no longer prescribe tht do to it may caus you to die. However, I have research acne for years and there are all diffrnt types of acne. The best advice for one to other is do ur resrch on slf. I no longer get pus bumps(thank god). But I can have a clear face one day and rash the next. Which I narrowd it down to I must have a reaction to something I am eatin or puttin in my hair or face. Now I do know feather pillows gives me bad reaction. I do know tht perfumes rash my skin out. I do know to much fast food cookd in grease flares me up. I just recently expressed a clear face ate two bowls a cereal and just was on a cereal kick and there wnt my clear skin. So I do belve tht abt the milk and dairy products as well. I hate to hear about teen acne it breaks my heart because I myslf hated it to where I separted myself because I was ashame. As I got older when I had my first kid my skin cleared like never before shortly after gvn birth it came back. Over the years it was still there but not as bad. In 2005 I got on clarvis and I had the pretty skin I ever seen and it stayed clear for 3years. I had anther kid two years ago and after gvn birth my acne nevr came back my skin now just would be clear and then something/s triggers it off and it looks like a bad rash. I do no if you drink plenty of water stay away from the fatty foods and junkfood and stress free you wnt wear your acne. For the young teens if acne is a big deal to you like it was to me. Stay away from the fast food and junk food and drink plenty plenty of water. if milk is good for you teeth & bones and bad for you skin..what do you do? I agree with josepablo. There is no way fats (good or bad) cause blood sugar spike. I can eat as much fatty meat and test my blood sugar to see there is no spike at all. On the other hand, rice and simple carbs is the main reason behind blood sugar surge. I believe that sugar spikes are behind many slow recoveries including acne healing. The reason why fatty food considered to be causing acnes is because they are consumed along with high carbs. Cut down the carbs, and see if your acnes will be completely gone. @Tami, it would be a good idea to avoid dairy as much as possible. It may not be necessary to cut it out completely. You have to see how it affects your skin. But the point is that dairy is one of the foods that research has linked to acne. Eat all organic foods, stay away from red meat and other dairy products (use soy products) exercise 30 min a day and get as much sun as possible. This should do the trick. did for me! Just want to share that you can clear up your pus acne by removing butter/margarine/cream/ghee from your diet.Limit your intake of other dairy(Cheese,milk,yogurt)or stay on a diet without them.Substitue olive, sesame oil for butter- put these on your toast instead. In a year, you'll be amazed at your clear pus free acne skin AND no more runny nose and colds/flus/sneezing. Also, watch out for undigested foods. These are also culprits of acne. Just stop eating the foods. 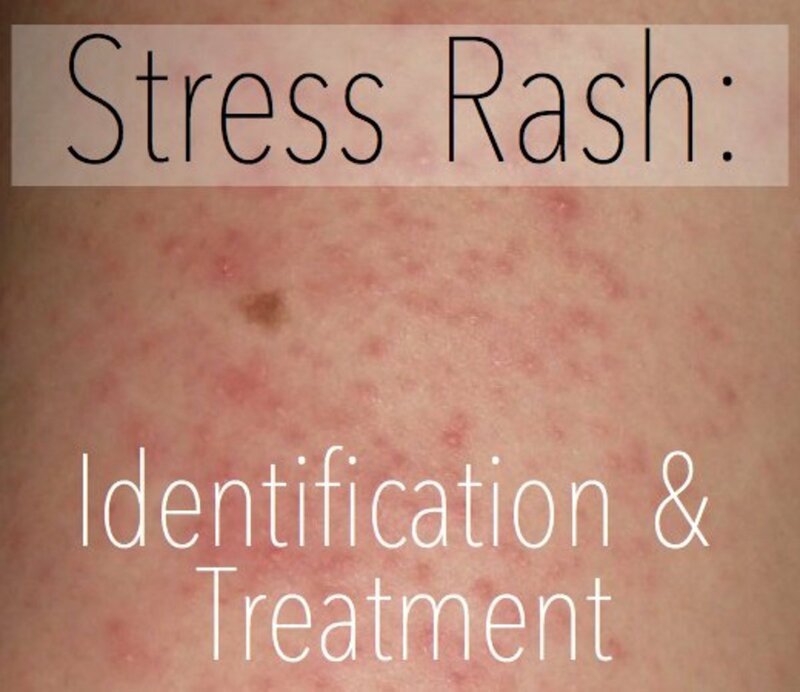 You should know that red rash or red tiny bumps on your face needs to be treated differently. Usually eliminating caffeine and adding butter can help. Butter increases stomach acid, so you are less allergic to foods. I'm concerned about some of the facts on this page. For instance, Dr. Atkins did not die of a heart attack. That's a debunked myth. He actually fell on ice and suffered a terrible head injury that ended up taking his life when he was 72. Most of this advice is pretty intuitive. Avoiding greasy food, processed foods, and excessive caffeine seems fairly obvious. But whole grains? This is questionable. The link posted is written by a member, not a nutritionist or doctor, of a Crohn's disease support site. I doubt the users of that site care about acne as supposed to the searing pain in their stomachs. I've seen this several times in the comments and I must agree that moderation and common sense is the best remedy for your skin. One must really be very careful while choosing our diet. Acne is very prone with all those food going into u, right! Very useful tips that you shared. I find my skin is so much better in the sun, now winter is on it's way it's getting bad again. I have taken note of your diet tips and will put them into practice (cut out all dairy). What's the best cure for redness? is nuts cause acne too? Hi ,I'm 27 and still suffer from acne,I wanna ask if wheat,milk egg and rice cause acne what should i eat then? plus I used every way to treat the acne but it doesn't seem to get better. 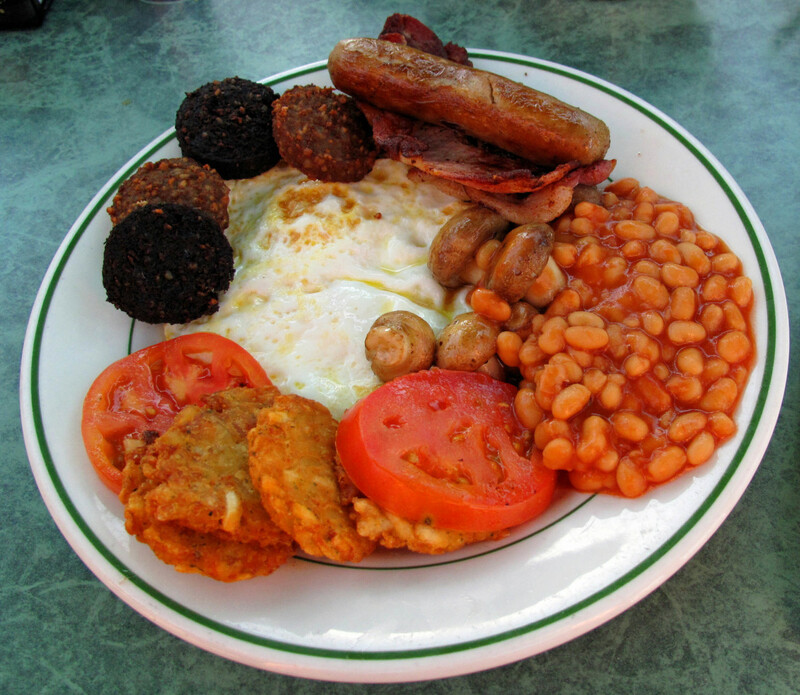 "Eating too much fat is perhaps the biggest reason behind blood sugar problems"
Really??? I want you to explain that to me, there is no way that bacon or eggs, almonds, avocados or even lard can spike my blood sugar. Of course donuts are fatty and they spike your blood sugar, but it is because of the refined flour and sugars, etc. And probably the fats on the donuts are bad because generally are some trans-fat cheap frying oil stuff. But don't mix the two things, you are misguiding everybody with your statement, good healthy fats have nothing to do with your blood sugar, even unhealthy fats do nothing to your blood sugar. It is the uses we give to fats that create the unhealthy foods, not the fat per se! One more thing, my son had the same problem, and when I convinced him to try eliminating eggs, his skin cleared up too and he doesn't have any problems. We react to the egg substitutes too, so it must be the egg protein that is hard to digest. It's okay to eat some baked goods, but things like cheesecake, kuchen give the same reactions. Ice cream seems to give me digestive troubles, including diarrhea, and then a skin eruption a week or so later. Pizza gives diarrhea too, so there may also be some intolerance to dairy (cream and cheese especially). Again, a protein intolerance? My body might not have the proper enzymes that break down proteins, or my body sees those foods as invaders. I've heard it said that if your parents give you certain foods too early in life, baby's bodies do not yet make the enzymes to break down those foods yet, so their immune systems kick in to fight them, and thus you have an allergy for life to those foods. (peanut butter, eggs, wheat, and cheese seem to be the biggest culprits). Allergies also get worse and more numerous as you get older, because your body's immune system starts to break down and can't fight those toxins as well anymore. So all of a sudden, you can't tolerate certain foods and you wonder what's going on. My body seems to be the happiest lately when I'm eating raw foods like salads, vegetables, and fruits. So I try to eat more of those foods whenever I can. Probably because they have less protein and more cellulose, utilizing certain enzymes that my body produces easier to break them down? Eggs were the whole problem for me. In my 30s, I was still getting acne, and then I discovered that I got sick whenever I ate eggs, and then a week or so later would get acne. When I eliminated eggs from my diet, I never had any more breakouts. I tested my theory a couple of times got the same reactions. I believe the skin is the last filter as toxins leave our body, and acne is caused by food allergies, product allergies, etc. Listen to your body. If you get a foggy or buzzy feeling in your head from a food, that is the sign of a reaction starting, and then monitor to see what other symptoms manifest as your body tries to process that food, the last being a skin eruption. I think that everybody is different. It depends. Whenver I cut out caffeine my skin clears up, but I can eat dairy and processed foods and that doesn't effect my skin that I can tell. @susy, no it doesn't. It just means avoiding most junk foods. You don't have to completely avoid fats. Just cut out the bad fats and don't go overboard with the good ones. You still have plenty of foods to eat. @Claire, I'm not saying Atkins died of a heart attack. It's well-known that he slipped and bumped his head. But it's also not a big secret that his heart probably would have given up on him sooner rather than later. Dr. Atkins did not die from a heart attack. This is an unfortunate lie that has spread throughout opponents of his diet. He slipped on ice while walking and hit his head. He was in a coma for over a week and died. Do you know about any of these? Could they possibly help treat my severe acne? I am hoping that these will help! I just started today...Also, a tip for cravings, carrots are a great way to snack and stay healthy! Sorry about my late reply. Been a bit hectic here lately. And thanks for getting Clear for Life. I really appreciate it. I'm not quite sure I understood your problem. At nutritiondata.com you just search the foods from the database and then ADD them to your tracking. I think you have to be logged in to do that. When you add foods to your tracking it saves them for you. After adding all the foods go to My Tracking, under My ND, and click Analyze (or something like that). That'll give you the analysis of your daily diet. Under My Profile you can set your height/weight, and that gives you daily totals as reference. Note that they are just estimates, and you shouldn't put too much faith into it. One more thing. Don't get number bound at ND. Don't analyze your diet TOO carefully. Just check that you are more or less OK and then go back to actually ENJOYING food. Eat to live, not live to eat. hi Sepsi, I bought your book, thank you. I went to the nutrition data site and cannot find the location of the daily food intake analysis, I looked all over the site. Could you possibly direct me? Thanks for all your great info. And I do agree that my mind/stress/emotions are the primary culprits. Maria, there's far more to getting clear than just what you eat. I don't think diet is even the biggest factor behind acne. For people with adult acne, and especially if you already eat a very clean diet, the mind probably plays a far greater role than anything you eat. I use pulse test for testing for food allergies and sensitivities. I found it to be fairly reliable - not to mention free. In my book I explain how I use it in more detail. Hi Sepsi, thank you so much for your quick response. Yeah I don't think the green tea directly cased it, but just thought it may have exacerbated it. I don't know why my skin goes in these huge fluctuations. I have been eating a very clean diet for years. and i don't know if I am just so sensitive, because last week my skin was really clear, then I had a few natural sweets with low-glycemic coconut sugar and some raw goat cheese which i have eaten without problems, i had one day of all fruit and greens, and after this series of possible "mistakes" my skin went from relatively clear to covered in angry inflamed spots--all over. it is so frustrating, I just don't know what I am doing wrong. does your book address this constant fluctuation between being clear and extremely broken out? do you think I am just ultra sensitive and have to be "perfect" with my diet? or do you think it may be more mental and stress related? i am so confused and discouraged Thank you so much for any insight you can provide. Hi, Maria! Unlikely that green tea would cause acne. Not impossible, but sounds very unlikely. If you want to be sure, just drop it out of your diet for say 2 weeks and see what happens. If you see no difference then you can go back to your favorite drink. Hi Sepsi, I agree with all that you wrote, thank you. I have a question. I am very attached to my daily green tea, I get the premium grade straight from Japan, but I do notice it really stimulates my adrenals, a feeling I kind of like. Lately my skin has been sooo inflamed, I wonder if the green tea is making it worse, it feels connected, but I so hate to give up my favorite daily ritual. Do you think it is necessary to eliminate it completely? Thanks!! omg!! I swear this is frustrating! What can I eat!!!! everyything causes acne, I cant really live on fruits and vegetables u know! The key is to stay very well hydrated!! and yes yellow fruits and veggies are very good as well, they contain alkaline acids which support stability whithin your body. dehydration is very bad for your skin!! Get out and see some sun, it is also very good for your skin, but most of all don't let these doctors scare you into never eating again. there has been no proven coorelation between diet and breakouts... avoid contact with the face for which it transfers oils and dirt, which clogs poors and thats never a good thing! Thanks for the great information you provided, Great hub here. I just learned something new here today, I never knew that we are all allergic to milk and that our bodies couldn't digest it. I love miik, espically chocolate. However I do tend to get stomach aches if I drink too much too quickly. Soy Milk aggravated my PMS. I switched to Almond Milk. Sugars, refined carboyhdrates, hydrogenated vegetable oil, canola oil all attribute to acne. I have added flax seeds, pistachios (it slows the sugar entering blood). I'm 30 years old and still waiting for my teenaged face to clear up. I tried this diet, though i only eliminated one thing at a time - caffeine went first, then sugar, then dairy and carbs. The diet worked wonders on me - i am acne free and don't have to wear make-up. What i'd like to know is if i can re-introduce carbs, maybe in smaller amounts? or will i forever be living on fruits, veggies, and fish? Milk is really an aggravating factor for acne. I stay away from it but I have it occasionally. I am in my late 30's and I have been suffering from acne all my life. I have tried everything you can possibly think of over the years. And I mean EVERYTHING! Due to other health issues, I cut out all dairy products, wheat, and yeast over a year ago. I switched to soy as an alternative and my acne has only gotten worse. After a lot of research on my own, I stopped all soy products two weeks ago. My skin is still healing today and I won't notice any major changes until what I have now heals. I hope this change is what I've been praying for! Diet restrictions are the worst!! There are also many other reasons to avoid milk than just preventing acne. For starters, it's already been digested 4 times by the cow, so it's really hard on our stomachs. Humans are also the only animal on earth that drink milk past infancy. And of course, the amount of growth hormones, antibiotics, and steroids that are pumped into the cow are extremely horrible for humans. A good alternative is Almond Milk. It's good for the heart, tastes amazing, and unlike Soy, it doesn't lead to Breast Cancer in women. oops, i sometimes wonder whether in the beginning people were supposed to eat at all. or were we meant to live on manna from above?? i mean, it seems like every food on earth has this or that side effects...........!!!!! Thanks, Sepsi. I know that soy is not the best thing in the world. Nearly all soybeans in the U. S. are also genetically modified (GMO), which has been the source of some controversy. In Scandinavia we drink a LOT of milk. Probably as much as you do in the US. Sorry to be the harbinger of bad news, but soy milk is as bad as dairy, if not worse, for people with acne. Processed soy products can mess up the hormone balance, which is linked to acne and many forms of cancers. Soy is also a common allergen, which means it increases inflammation and can lead to acne. The only healthy dairy substitute I know are rice and nut milks. Interesting hub. I understand that drinking cow milk past about two years old is an American habit. And we do promote milk in the U.S. I wonder if many Scandinavians ever drink milk as adults. Although I do consume a little cow's milk, most of what I drink these days is soy milk. My consumption of cottage cheese has diminished greatly. I love good, fresh goat cheese, though, and I have a good contact for that. "WOW! I wonder why God made cows if we were not meant to drink the milk? Lets see.....maybe they are just supposed to be organic lawn mowers??? Maybe just for hamburgers??? OOPS... We are not supposed to eat meat either.... What can I eat for lunch? Maybe a pineapple and a bannana.... O that would be cruel because I would be taking food away from the monkeys..."
Excellent Hub!! Right on target with the "Red Flag" acne causing foods!! Great suggestions but I do have one disagreement, I grew up on a dairy farm and most milk does not come from pregnant cows, in fact, When a cow is pregnant and/ or has just given birth, you cannot use that milk for public distribution, a farmer will milk her by hand and give the calf the milk containing the much needed nutrients for the baby, just like a woman! This is interesting. I'll give it a try, though I'll find it very hard to get off dairy. And especially caffiene, I am addicted. Include daily in your diet plenty yellow fruits and vegetables. (Yellow squash, pumpkin, mangoes, cantelope, carrots) Forehead acne is associated with elimination of waste/intestinal problems. Add an egg to some almond powder/flour, add some blueberry jam (sweetened with juices only) and pour some soy milk to form a not too runny consistency. Use a wide metal spoon to transfer to a skillet. (A spoonful at a time)It is delicious! Annie, moderation is a tricky issue. In some cases moderation works, but in case of allergies and sensitivities even small amounts can trigger breakouts. I think moderation is the key.